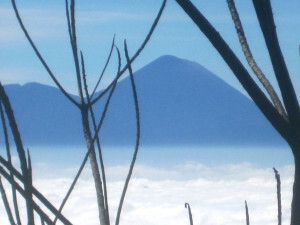 Gunung Butak (2,869 m) lies north-west of Malang in East Java. It is a little known peak, even for the locals, probably because it is simply the highest point on the rim of an ancient, collapsed, dormant crater. 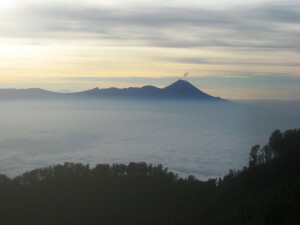 The summit, known as Gunung Gede, offers spectacular views of mountains to the west – Kelud, Liman and Lawu, and to the east – Arjuna, Semeru, and maybe Bromo, Argopuro and Raung. There are two trekking options. 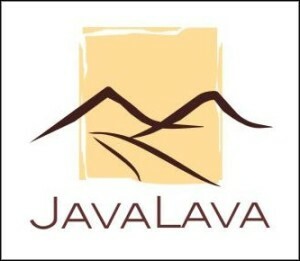 I. Batu – Gunung Butak – Return: Until now, Java Lava has climbed from Batu, with a camp below the summit and return by the same route to Batu. A camp on the mountain, just below the peak, in an open field, known as Cemoro Kandang, is great for a final sprint to the summit, about 200 m, and views of distant peaks at sunset/sunrise. Good water at Cemoro Kandang. II. Batu – Gunung Butak – Kawi Traverse: A more interesting option would be to traverse the mountain from the Cemoro Kandang campsite via Gunung Kawi to the Chinese (Kawi) temples at Desa Pesarehan on the south-eastern side of the mountain (at about 800 m, vertical descent about 1,870 m) taking the best part of a day. Guides from Desa Pesarehan would be hired for this section (as those from Batu apparently do not know the route). Plenty of accommodation is available at the Kawi temples. No water between the Cemoro Kandang camp site and Kawi temples. The Trek: Batu trail head is at Loket Panderman, Desa Tuyomerto (1,300 m), with a vertical ascent to the campsite of about 1,370 m (5-6 hours, 10 km). Initially, the track passes through vegetable and rumput gaja (grass for feeding dairy cattle, the main enterprise in this village). Gunung Panderman, from a Dutch name, Van der Man, (approx 1,500 m) lies immediately behind Batu and is passed en route. Much of the tropical forest thereafter has been cut or burnt – uninspiring! Shin-high undergrowth covers much of the lower section of the track; knee-high gaiters and/or long trousers are advised to avoid having your shins being ripped to pieces. 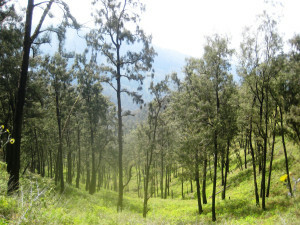 Cemara forest, common to mountains in East Java, is reached at around 2,100 m and is very pleasant trekking. A grassy meadow, known as Cemoro Kandang is reached at about 2,670 m. With excellent mountain water, it offers a great campsite in a grassy meadow although the grass is rather clumpy. There are two steep pitches: the first, after leaving the agricultural land to climb up onto the main summit ridge; and, the second, from Cemoro Kandang to the summit itself. The rest is pleasant trekking up a moderate gradient and good track. 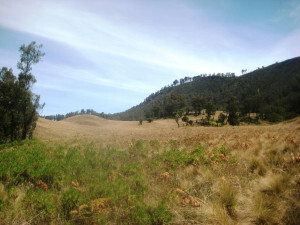 The summit, known locally as Gunung Gede, is reached by a short, steep climb up the ancient crater wall of about 200 m; allow an hour or so from camp. The summit is marked by a large cement pillar. In good weather (early morning is best before the clouds set in), great views of mountains to both the east and west are possible. The hillside is scattered with ancient grave sites. You may meet a ‘sadhu’ meditating on the mountain! Suitability: fit, experienced climbers; not for families and children. Day 1: flight to Malang; transport to Batu (about 3 hours), a mountain resort near Malang; Hotel Kartika Wijaya, a modernised Dutch-era hotel. Day 2: early start; local transport to trail head. Water only available at Cemoro Kandang campsite. Set camp; plenty of camping places. Summit for sunset. Day 3: early start for sunrise from summit. Sunrise usually offers better views – clearer skies. Begin descent by 09:00 (about 4-5 hours). Depart hotel for Surabaya (allow plenty of time as traffic is heavy on Sunday evening); flight to Jakarta. 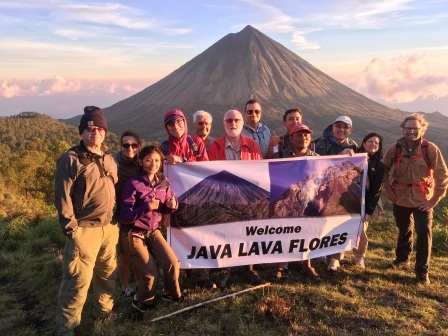 Day 3: meet guides from Kawi to bring the group down via this route. Allow a full day for the descent, vertical about 1,870 m. The Cemoro Kandang-Kawi leg is longer than the Cemoro Kandang-Batu leg. 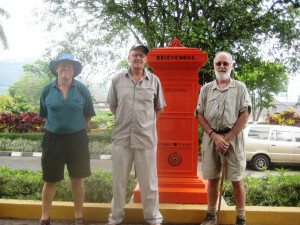 Overnight at hotels near the Kawi temples. 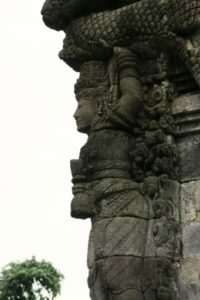 The road trip from the Kawi temples to Malang takes about an hour or two. Day 4: A visit to the Kawi temples is a must. Not only do Chinese pray at these temples but also Javanese. The temples are renowned for bestowing power and wealth upon those who make offerings. Suharto, Indonesia’s second president, is reported to have prayed there. 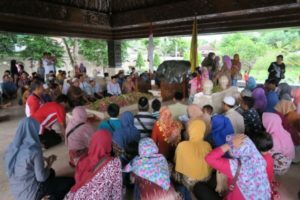 The grave of Soekarno, the first president of Indonesia, is an hour by road from the Kawi temples at Blitar. 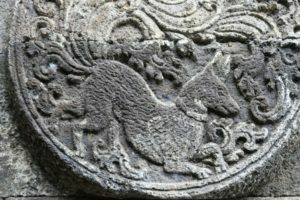 And, nearby is Candi Penataran, a 12th century Hindu temple complex that served as the main pilgrimage site during the Majapahit empire (12-15th C), with its highly ornate reliefs of birds and animals. Both are very well worth visiting for their historical/artistic significance.